The Number One Choice for Control Solutions. 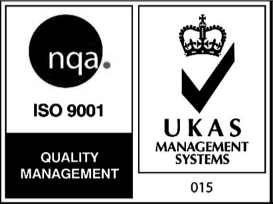 We continually set new standards in the design and manufacture of control solutions across our four core markets. Our 'We Are DSE' film provides an insight into what makes us different and why we are the perfect partner for your business. Recycle your electrical and electronic devices for free at your local recycling centre (UK Only). To find your nearest recycling centre visit the Recycle More website and enter your postcode. Unwanted electrical equipment is the UK’s fastest growing type of waste. Many electrical items can be repaired or recycled, saving natural resources and the environment. To remind you that old electrical equipment can be recycled it is marked with a crossed out wheelie bin symbol. 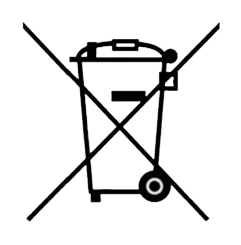 Please do not throw any electrical equipment (including those marked with this symbol) in your bin. The Waste Electrical or Electronic Equipment (WEEE) Directive required countries to maximise separate collection and environmentally friendly processing of these items. In the UK, suppliers of electronics, such as DSE must provide a system which allows all customers buying new electrical equipment the opportunity to recycle old items free of charge. As a responsible supplier, we have met the requirements placed on us by financially supporting the network of WEEE recycling centres established by local authorities. This is achieved by supporting through membership of the national Distributor Take Back Scheme (DTS). To find out more information on WEEE recycling and to locate your nearest recycling centre please visit the Recycle More website.